Tnpsc Group 1 Model Question Papers Pdf Download: TNPSC குரூப் 1 தேர்வுக்கான மாதிரி வினாக்கள் மற்றும் விடைகள் கீழே தரப்பட்டுள்ளன. Tnpsc Group 1 Exam Model Questions And Answers Updated below. Contenders, who are going to participate in Tamilnadu Public Service Commission ( TNPSC ) and want to start their preparation in better way, can download TNPSC Group 1 Model Question Papers and answers from this page. On this page, we give you TNPSC Group 1 Model Question Papers & Answers 2017 for Preliminary Exam. Tamilnadu Public Service Commission ( TNPSC ) conduct TNPSC Group 1, 2, 2A, 4, Vao exam for recruitment of Debuty Collector, Deputy Superintendent of Police (Category – I), Assistant Commissioner (C.T. ), District Employment Officer, District Officer (Fire and Rescue Service). we are providing some selected questions with answers for the help of candidates who want to score good marks in exam. Interested aspirants who are going to participate in this exam must have a glance below. Those applicants, who are going to give upcoming TNPSC Group 1 Exam can find sample paper, solved question Paper and free Online Study Material through our web Portal i.e. winmeen.com. Complete information regarding TNPSC Group 1, 2, 2A, 4, Vao Exam Model Question Papers, is mentioned below on this page. TNPSC Group 1 Exam Sample Question Papers with Answers. Tamilnadu Public Service Commission ( TNPSC ) Tnpsc Group 1 Exam 2017 For Model Question Papers 2017 TNPSC Sample Question papers TNPSC Group 1, 2, 2A, 4, Vao Exam Mock Test Question Paper for 2017 Exam, This Model Questions are based on the syllabus but here some of the question may out of syllabus, just for your better exam TET Exam preparation. Tamilnadu Public Service Commission ( TNPSC ) 2017 exam Model Paper 2017 will help all the students for their TNPSC Group 1, 2, 2A, 4, Vao exam preparation, here the Group 1 Exam Sample question 2017 are MCQ i.e multiple choice question answers, if this Group 1 Exam Model question paper 2017 in pdf file format you can download it in FREE, if Tnpsc Group 1 Exam Sample Paper 2017 in text format you can download Tnpsc page also just Go to menu bar, Click on File-> then Save. 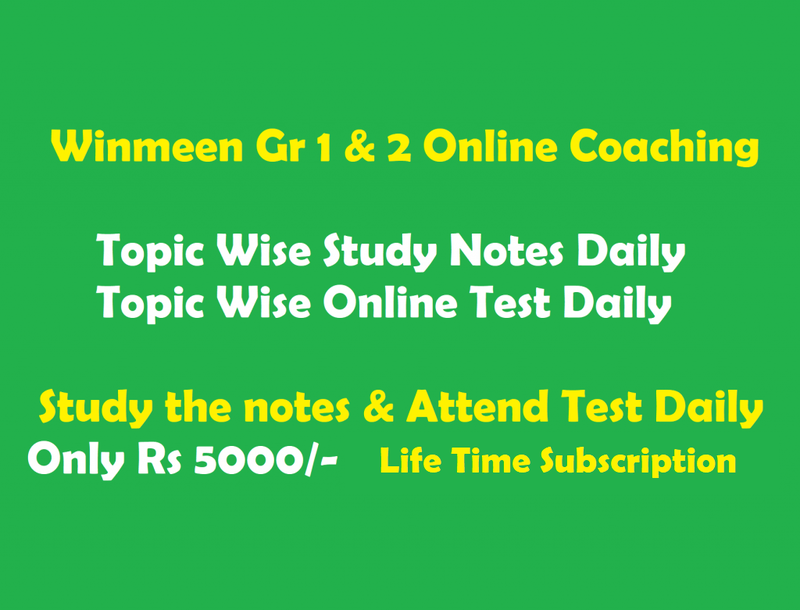 winmeen.com provides all kind model papers like here TNPSC Group 1, 2, 2A, 4, Vao, Tamilnadu Police Constable exam Model Paper 2017 you can make your exam preparation much more better by this Group 1 Exam Sample Paper 2017 with Answers | Solution also allow you download TNPSC Group 1 Exam Guess Paper with Free of Cost.